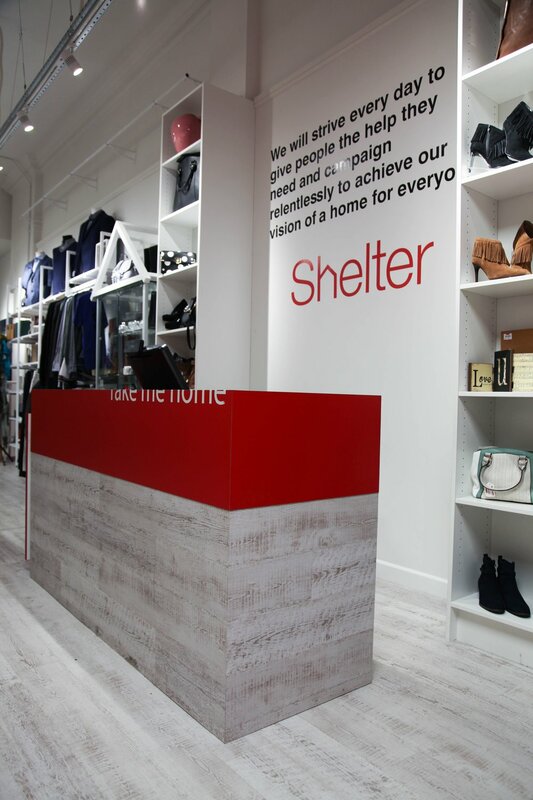 In 2016 HemingwayDesign created a new cost effective retail design and shop fit for Shelter’s Finchley Road store to honour the 50th anniversary of one of the UK’s most impactful charities. 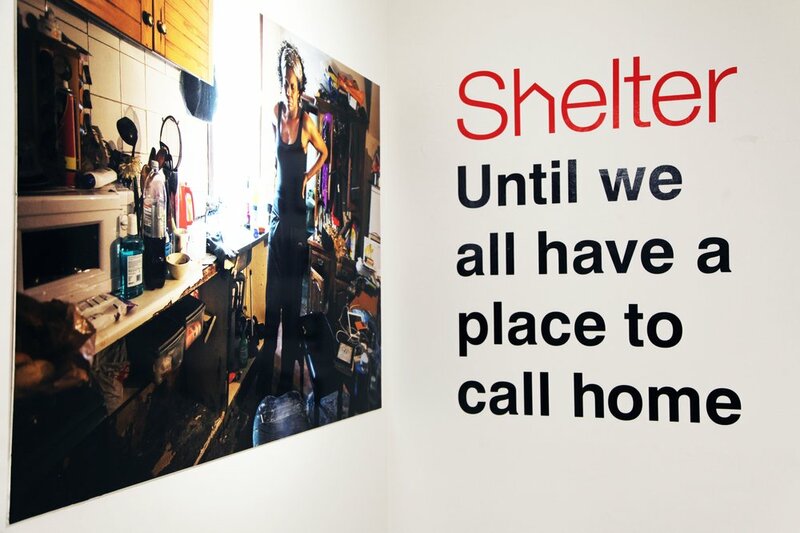 The aim was to design a new store format that reflected Shelter’s mission and heritage as a campaigning charity with a politically charged history combined with an attractive and unfussy retail experience. 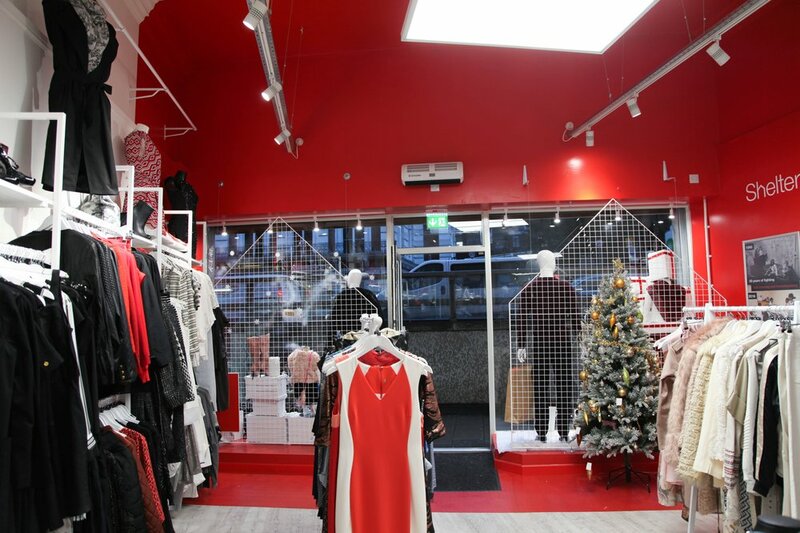 To strengthen the re-use values behind charity shopping (and to save money) we followed our up-cycling principles by re-purposing existing shop fittings. 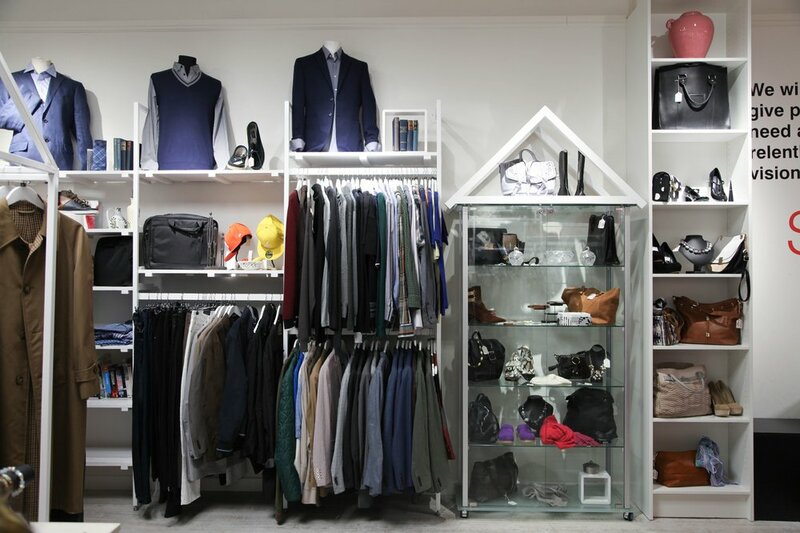 Old rails were manipulated and powder coated to create transformed merchandising and display systems. 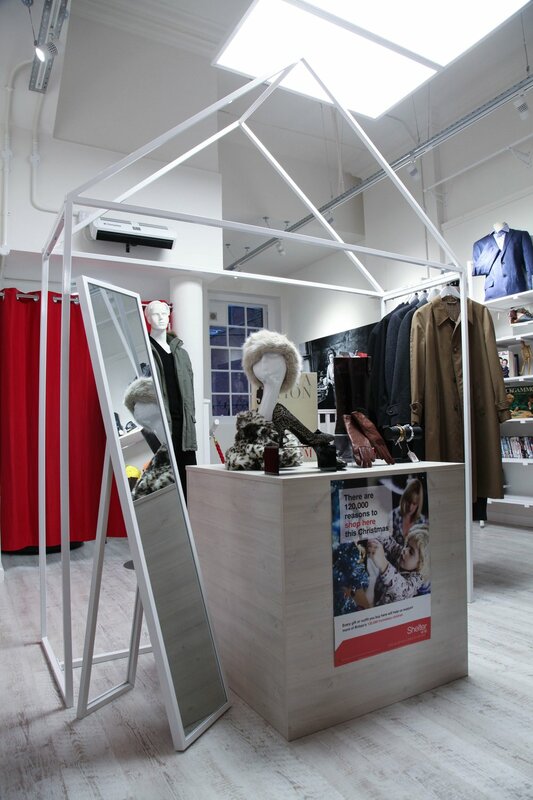 The Finchley Road shop fit out resulted in record takings and significantly increased per square foot takings compared to standard Shelter stores as well as an increase in store donations. 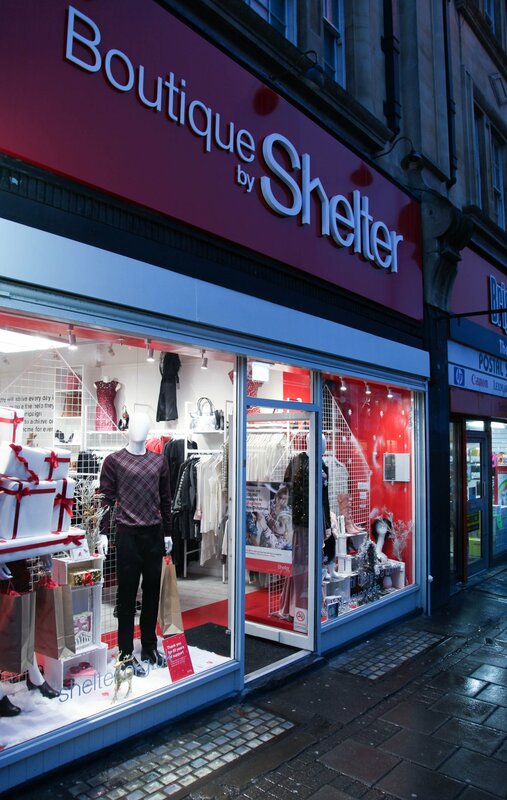 The concept is now being rolled out and as of November 2017 a further six Boutique by Shelter stores have been opened in Hampstead, Muswell Hill, Glasgow, Blackheath, Barnes and Turnham Green.